Roofing requires correct installation in order to function properly and look its best. 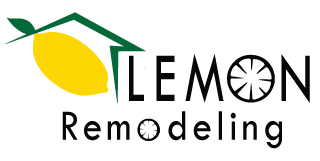 Lemon Remodeling’s experienced professionals can guide you through this process. Our engineer provides the necessary expertise to ensure that your roof meets all required industry standards, and that it is both safe and functional. He can offer assistance recommending what material would work best for your home given your location, your personal style and your budget. Weather and durability are factors which must be considered. Fire resistant materials, as well as metal and synthetic versions of materials, are among the materials available. A full time on site project manager is there to ensure that everything goes smoothly. Our goal is to provide you with the perfect roof so that your home will be safe for years to come. Let Lemon Remodeling help you achieve your perfect roof remodel!